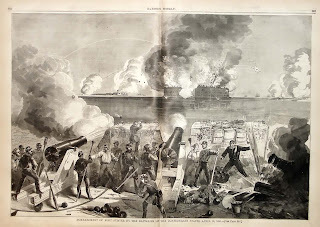 [SIEGE OF FORT SUMTER] At 12:45 in the morning, the three Confederate messengers to Fort Sumter, Chestnut, Chisolm, and Lee, return to Major Robert Anderson at Beauregard’s request in a last ditch effort at a peaceful settlement. They ask Anderson for a time of probable evacuation. At 3:15am, he indicates noon April 15 as his target provided he receives no supplies or orders from Washington. The Confederates, knowing that an aid expedition is without doubt enroute, refuses to accept Major Anderson’s response. Five minutes later they give Anderson written notification of the commencement of an attack in one hour’s time. 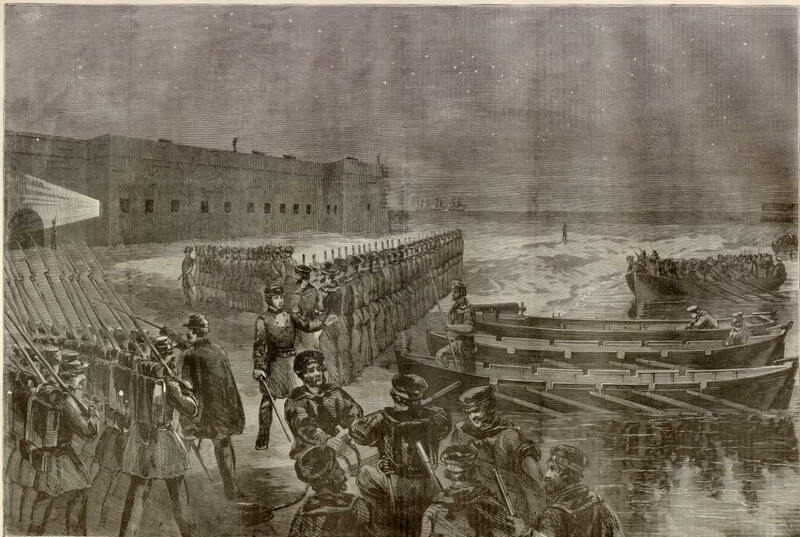 Leaving Fort Sumter at 3:30am, the aides proceed to Fort Johnson to order the commanding officer, Captain George S. James, to open fire at the prescribed time. At 4:25 am, Capt. James at Fort Johnson sends up a signal flare to the other harbor batteries to open fire followed by the first shot. Lieutenant Henry Saxon Farley, a South Carolina Militia volunteer from Laurens, South Carolina, pulls the first lanyard on a ten inch seacoast mortar at Fort Johnson at 4:25am. Thus, Confederate troops defend their inherent right of Independence and begin a rotation of fire on a foreign, invading power at Fort Sumter. Firing will continue throughout the day and at intervals through the night. The citizens of Charleston are frenetic, with many watching the bombardment from rooftops throughout the city. 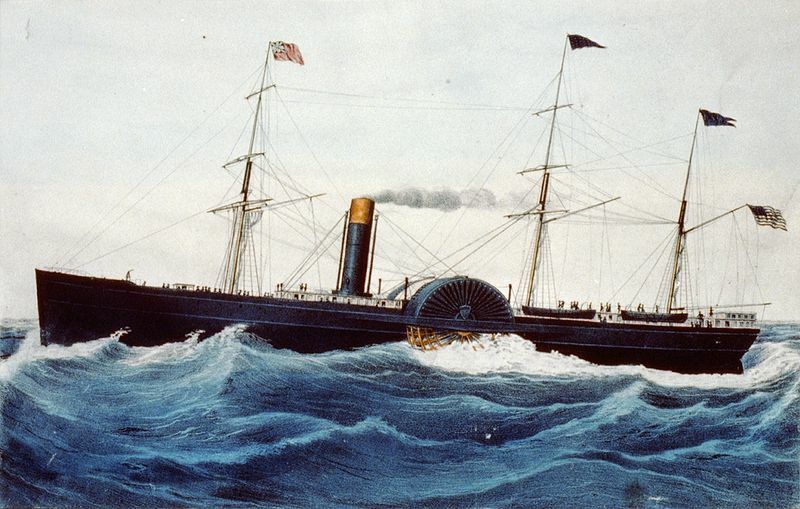 The Achilles heel of Fort Sumter is wood on the inside of the fort. 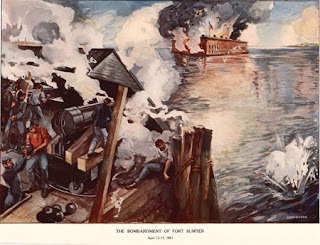 Since he is low on cartridge bags, Major Robert Anderson holds his fire until 7:00am, when US Captain Abner Doubleday fires the first shot from Sumter on the Iron Battery at Cummings Point. To protect his men, Anderson orders them to use only the 32 and 42 pound guns which are in the casemates instead of the heavier guns on the exposed top which could damage Southron defenses. 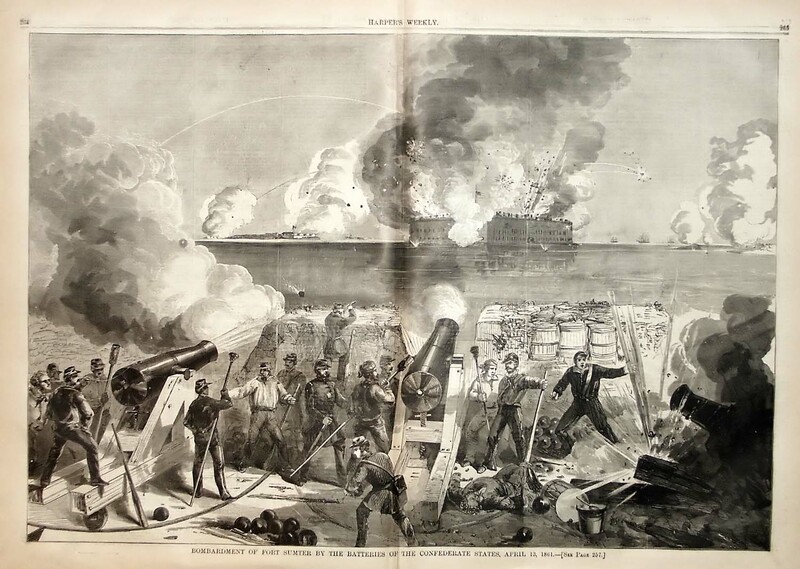 In Fort Sumter, small fires are set by hot shot or bursting shells, but they are extinguished. Tonight, the Confederates slacken their fire, booming at twenty minute intervals; Anderson stops his fire. At Fort Pickens on Santa Rosa Island at Pensacola Bay, Florida, US Lieutenant John L. Worden informs Confederate General Braxton Bragg of his arrival yesterday regarding the disposition of Fort Pickens. 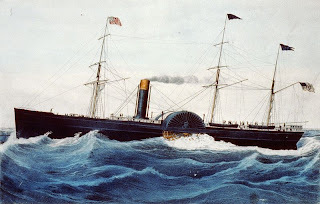 Bragg permits him to meet with US Captain Henry A. Adams aboard the Sabine, so long as he did not violate the "truce" that had been in effect since the last days of Buchanan’s Administration. Making no promises, Worden meets with Captain Adams around noon and presents his orders. Worden makes it to the Sabine just in time. Hours later, General Bragg receives a telegraph from the Confederate war department instructing him to "intercept" Worden.